People ask all the time about what it’s like in the NICU. They say “it must be so hard,” “it must be so scary.” And that’s true, to some degree. It is hard, and it scary. And it’s so much more. 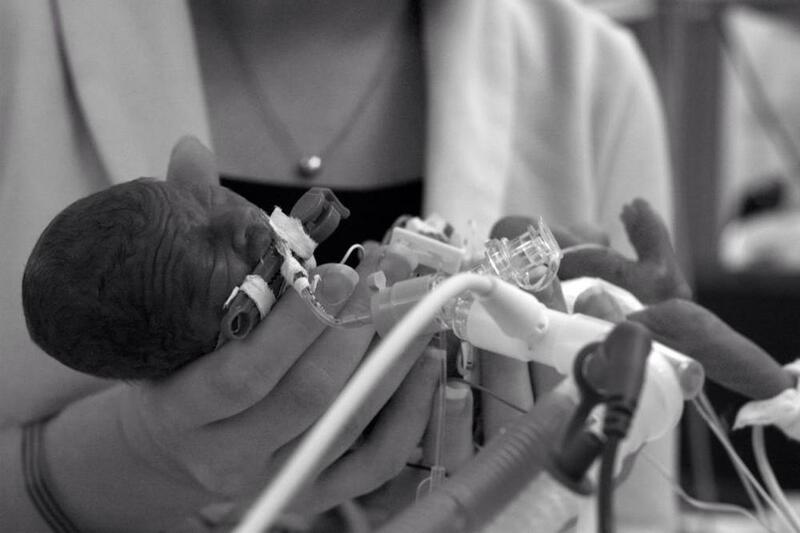 The truth is that the NICU is an intense, beautiful, complicated world. First off, for those of you who don’t know, the NICU stands for neonatal intensive care unit, and it’s the hospital unit where babies go when they need extra medical care. There are a vast assortment reasons for babies to be in the NICU – some babies just need a few days of TLC before they’re ready to go home, while others are clinging to life. Some are premature, some are full term. Some families know in advance they'll need the care of the NICU, but for most families it's a stressful, unexpected experience. The NICU is hard. No doubt about it, it’s hard. It’s hard to see babies struggling to live. It’s hard to see babies separated from their moms and dads. It’s hard to see families worried – terribly worried - about their babies. It’s hard to see parents trying to understand complex medical diagnoses and having to make impossible choices. And yet...It’s wonderful. To see a person - a very tiny but very real person - grow from a fragile, delicate 1 pound baby to 2 and then3 and then 4 pounds before your eyes is incredible. To see a 9 pound baby who was covered with tubes and wires, sick, medicated, alone in the crib.... to see those tubes and wires go away over time, and in their place finding parents snuggling them with their sweet milky smiles, it's fantastic. To see families adapting to meet the needs of their babies, and see them gain confidence as they learn and grow is lovely. And to see the postcards and holiday cards showcasing strong little former-NICU patients starting kindergarden, graduating college, raising their own families? Absolutely beautiful. The NICU is scary. 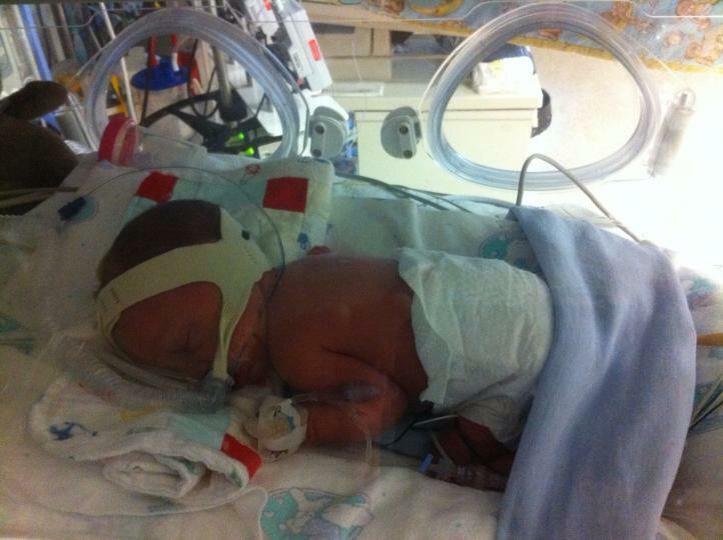 NICU’s are filled with equipment so big - for patients so tiny - that you can’t even see the babies through it all. Weird blue lights and plexiglass incubators, resuscitation bags and IV’s and monitors at every bedside. You have to sterilize yourself before entering, and it looks like nowhere you’ve been before. Many NICUs try to make it cheerful with cute prints and happy colors, but it’s basically filled with so many complex machines and un-baby-like equipment that it’s intimidating to the newcomer. And yes, it’s ok to admit it, the babies can look scary too. All of the babies have monitor wires or feeding tubes or oxygen tubes, all of which are disturbing. Babies born extremely premature can look more like baby birds or aliens than like babies. Their skin is translucent, their eyes fused. Some full term babies may have disfiguring conditions that are difficult to see. And yet...It’s adorable. Stop by each bed, look past the equipment and look past the diagnosis, and you’ll meet a unique and beautiful new baby, with a personality all their own and a powerful will to live. Look around at the brand new families – loving parents, siblings, grandparents - doing everything they can to trust and learn and love under such intensity. It warms your heart. The tiniest footprints, and the most precious baby smiles all reside here. The NICU is noisy. Equipment running 24/7, bubbling, beeping, crying babies. Nurses discussing. Doctors and therapists consulting. Alarms. Alarms. Alarms. The never-ending beeps and bings of alarms. It takes years to get used to the NICU noises, so while we nurses are pretty immune to it, newcomers find it overwhelming. And remember this - while chatter and background noise can be annoying, sometimes the alarm ringing means a baby has stopped breathing. When it means that a crew of medical staff need to rush in and save a baby, it’s more than noisy. It’s truly stressful, it's overwhelming. And yet...It’s inspiring. All of the babies are getting incredible care with remarkable technology, which makes their good outcomes – their very survival - possible. And with the advances that continue to be made, outcomes are better than ever. The noises and chaos are part of the process of saving lives. The NICU is heartbreaking. It’s literally about life and death. Some babies there are relatively healthy and may need a small amount of extra care before going home, and yet some babies, just a few feet away, are struggling mightily to survive. It’s a unique environment where celebrations and tragedies may be happening side by side. It’s a kind of tension unlike any other. Unfortunately, sometimes babies die. Nobody should ever have to experience this. Nobody. Ever. But it happens here, and what are the right words to describe it? Devastating. Crushing. Profound grief. Impossible sadness. Unbearable. It’s so hard to have to be the place of such sadness. Why should some live and others not? Why should some babies have easy courses while others have problem after problem after problem? It's complicated, and just plain unfair.And yet....It restores faith in humanity. It's all about love. And it's about people coming together - families, nurses, doctors, therapists, and so many more - devoting themselves to the care and well being of our future generations and of each other. Step back and see the hugs, the smiles, the shared tears, the whispered prayers, the gratitude, and the hope, and it's hard not to feel inspired. We all are doing everything we can to make a healthy and happy future for these sweet babies. It's good work, and as hard as it is, it's a loving place filled with hope and devotion. NICU Crib art is the perfect NICU-Nurse approved way to decorate your baby's isolette, crib or bedside. Available only at Every Tiny Thing. It’s overwhelming! With all of this, how could it be anything else? It's all of the real world condensed into one small microcosm - babies and families, life and death, rich and poor, celebrations and grief, good and bad, joy and sadness. Nobody ever wants to have their baby there, but all are grateful for the chance at life the NICU offers. Everyone is profoundly changed by the experience – some for the better, some for the worse. Some families move through their journey unscathed, some are crushed by the intensity of the experience, some struggle, rise to the challenge and blossom. And yet....I love the NICU. I’ve been working in NICUs for my entire nursing career, and I can’t imagine any kind of nursing I would rather do. I have never experienced the NICU as a parent, but I am a parent and as such I can appreciate the staggering intensity of parenting in the NICU. I am humbled every day as I witness families come through our scary doors into this weird and intense environment, and they do it for love. They do their very best, and they become participants in this unwelcome journey because of love. To NICU parents - My hat's off to you. I’m honored to support you along the way, and no matter how you handle it, I understand the enormity of the struggle and appreciate that you’re doing your best in the hardest of experiences. What would you add? What is the reality of the NICU to YOU?